The world of technology has given us so much in the way of improving quality of life. From practical application in the world of medicine to creating virtual playgrounds for recreation, we see innovation moving so quickly that it can be hard to keep up sometimes. In looking to our future, we look to our past, which – relative to the age of our planet – is not that long at all. We can learn a lot from those that came before us and are still with us now, sharing their experience and continuing to make the world a better place. I had the great fortune of sitting down with John Sculley, the former CEO of Apple and Pepsi President, to talk about what it was like to work with Steve Jobs, what he has learned during his long and impressive career, and what future innovators need to succeed in the world of tech. The Next Web: Hello John. Thank you for joining me today. As we all know, there was once a time when Apple, as a fledgling company, was going through a tumultuous time. As someone who has been successful in several ventures, what was your experience during this time and what was it like to work with Steve Jobs? John Sculley: I was Steve Jobs’ partner and closest friend for three years. What made Steve Jobs different is he never tried to adapt to fit into the world. Steve always wanted the world to change and see the possibilities he saw. When he was 27, Steve was brilliant and in deep learning mode. Like many geniuses, he experimented and made mistakes. It was amazing experience to be with him seven days a week. It was during these years that Steve Jobs defined his first principles that still the foundation of Apple today. TNW: What were those principles, John? 1.) Empower non-technical people with bicycles for the mind that will unleash their creativity. 2.) Change the world by enabling people to visually communicate (in those days before the Web, Steve Jobs created AppleTalk that wired Macs together). 3.) Design is important to everything Apple will do and simplification is the ultimate sophistication. 5.) Every detail of how we do things at Apple must be as perfect as possible. The six colors of the logo. The Mac Factory, and many other examples. 6) The Mac team needs to be willing to devote every waking moment of their lives to making Macintosh insanely great. There is no time to waste. TNW: [Laughs] I love how Jobs’ words were so ominous, but I get it. It’s not enough for the products to be great, they have to be the best. The standards are what separate competing forces from one another and gives the edge to the ones that give way more attention to every little detail. It’s respectable. Those core values certainly have helped Apple gain a huge market share and I do agree that there have been some beautiful products that have come out of the company. What do you think about the direction Apple has gone with Tim Cook at the helm? JS: Tim Cook is an outstanding Apple CEO. TNW: What role and ideas did you have to make Apple a product marketing company? What knowledge did you bring from the successes of Pepsi to create the perception that Apple was the product to buy over other computer brands? We see the same kind of marketing now, and have for years, with imagery of people’s lives being vastly improved by Apple products, from listening to music, photography, and even tracking one’s own health metrics. Let’s talk about the focus on targeting the creative community and lifestyle. JS: My role was to teach Steve Jobs about consumer marketing. In the 1970’s, Coca-Cola outsold Pepsi in half the US by 10:1. As Pepsi’s then 30 year old CMO, I realized the reality was: Coke was the most famous and most profitable consumer brand in the world. Coca Cola owned reality. Perception leads reality. So, Pepsi needed to own ‘perception’. We achieved this goal by focusing on the customer’s experience with Pepsi versus Coke. The marketing campaign we developed was called ‘The Pepsi Challenge’. I called it “experience marketing”. Steve Jobs loved our conception of “experience marketing” as he was then developing and building the Mac. The user’s experience was at the heart of Steve Jobs’ vision. Steve told me, “You have got to come to Apple and teach me how to do experience marketing.” The first iteration of experience marketing was the launch of the TV campaign for the Mac, known today as the 1984 Super Bowl TV commercial. TNW: The world of high tech is an incredibly competitive market and one false move can make or break any company, but to be successful, one must take risks. How do you find the balance between sound decision-making and taking chances? What can aspiring business-owners and entrepreneurs learn from our forefathers in the tech community that can lead to success? JS: Most ‘adaptive innovators’ try to fit their innovation into the world. Steve Jobs never cared about fitting into the world. He wanted the world to adapt andfit in to his vision of the future. This is when Steve meant when he said he wanted to put a dent in the universe. TNW: During your time at Apple, you oversaw the development of the Newton. That project specifically ran into many obstacles during development and the competition, Palm Pilot, ultimately gained the market share at the time. Do you think that, even though Jobs terminated the project, he still held onto a little piece of the concept to aid in the development of the iPhone and other touchscreen products? Do you think that the technology would have been as sought-after by consumers had Jobs not famously unveiled the iPod Touch and iPhone the way he did? JS: Newton turned out to be seminal development for Apple. It was the first PDA that used a graphics screen interface. The first machine learning digital assistant. The Newton team co-developed the ARM microprocessor and Apple owned 43% of ARM. If Apple hadn’t of sold their 43% of ARM for a reported $800 million in 1997, Apple would have gone bankrupt. TNW: What is your take on the trending of new technology such as VR/AR? Do you think that there is an important use for it that can be utilized beyond the recreational use of average consumers? JS: I am very involved with AI now. I am vice chairman of ‘Lantern’ a fin-tech company in California that is developing an A platform for consumer credit scoring called BeamAI. TNW: What traits and instincts do Millennials absolutely need to possess in order to compete and earn success in today’s market? JS: There has never been a better time for entrepreneurs. So many exponentially growing technology breakthroughs like: cloud, mobile, unstructured data, AI, IoT. Milennials need to have insatiable curiosity and they need to find noble causes that inspire them and others that can change the world. There has to be a better way to do things and technology is now reliable, inexpensive, and highly scalable. TNW: You’ve earned a tremendous success during your long career, and continue to do so. What is it like to experience such success and what is the best advice you’ve received throughout your career? What knowledge and experience can you now teach to those who are making the trek behind you? JS: My best advice is: Stay curious. Take chances. Failure is a learning experience. Never ever give up. TNW: Thank you so much for your time, John. It’s been a pleasure to speak with you today. 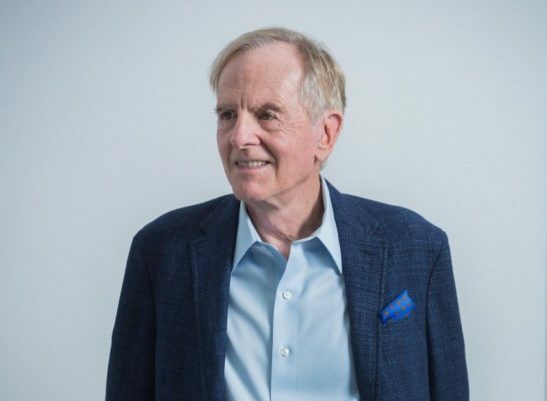 Learn more about John Sculley through his website, where he shares even more about his wealth of knowledge in specific markets, and shows future entrepreneurs how to create a successful business in today’s market to solve the problems of tomorrow.